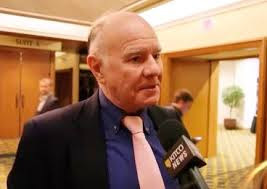 Thailand based investor Marc Faber doubled down on his pro-Brexit views, telling finews.asia that more countries should follow Britain's example and leave the «sick» European Union. Marc Faber is best known for his glum predictions for financial markets, but he has long been a scathing critic of the EU over its handling of the European debt crisis. In comments to finews.asia, Faber welcomed the decision by British voters to leave the EU, as «the best that could have happened». The decision roiled foreign exchange, stock and bond markets globally and prompted Britain's prime minister to step down.